Rugby in Japan has a long and distinguished history. 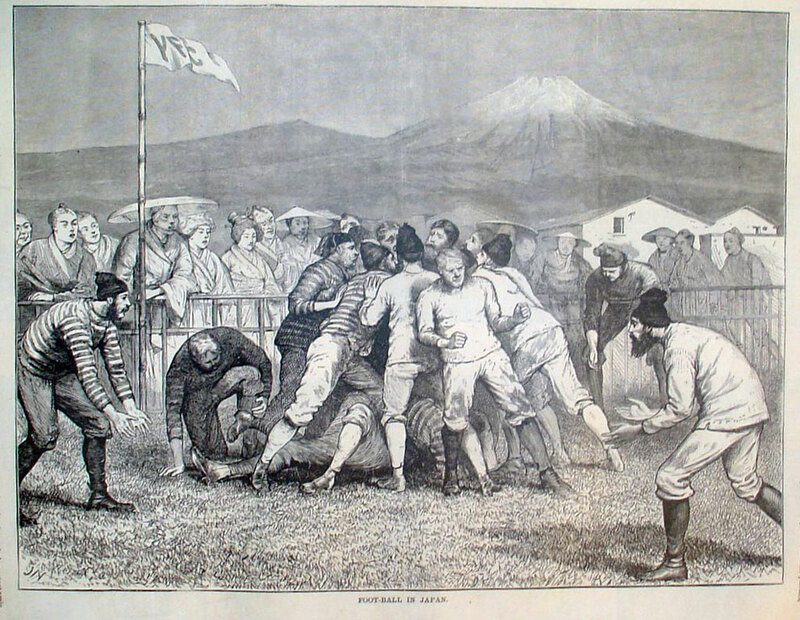 The first recorded match took place between British sailors in Yokohama in 1874. This image shows how interested locals watch with Mt. Fuji towering in the background. In 1899, Cambridge graduates Professor Edward Bramwell Clarke and Ginnosuke Tanaka introduced the game to students at Keio University. The Tokyo Crusaders were founded in 1990, and play regular league games, tours and just-for-fun. If you want to be part of history – and in making it – join the Tokyo Crusaders today!